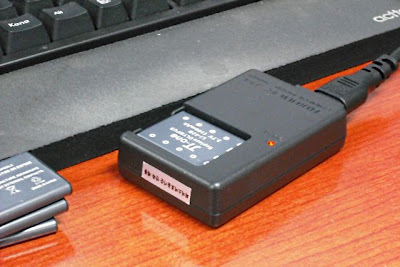 Denkami's writings: Extending camera running battery time. Extending camera running battery time. Todays, digital cameras are going to samller and functional. But their running time going to shorter if battery capacity is same before. Mostly using batteries are the result of modern chemical engineering. Lithium-Ion and Lithium-Polymer, 2nd generation chemical battery, are actually very unstable elements. Even those,Most chemical batteries are base on Lithium complex elements since advanced from Nickel complex element. Some days ago, I bought a new small digital camera for my lightly camera life. It uses a little Lithium-Ion battery, 3.7V and 740mAh, is have short battery runtime about less 100 shots on fully charged. 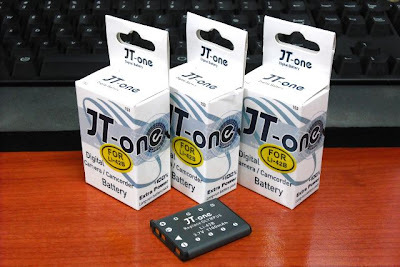 If anyone who need more batteries for their cameras, may asking to me, I will recommends replace compatible batteries. specially if battery size smaller. Sometimes, people not believe replace batteries even they bought too cheap models by own, I will strongly wanna say to them. That was your chosen. Anything whatever, too cheap products are all that not be believed. remember.